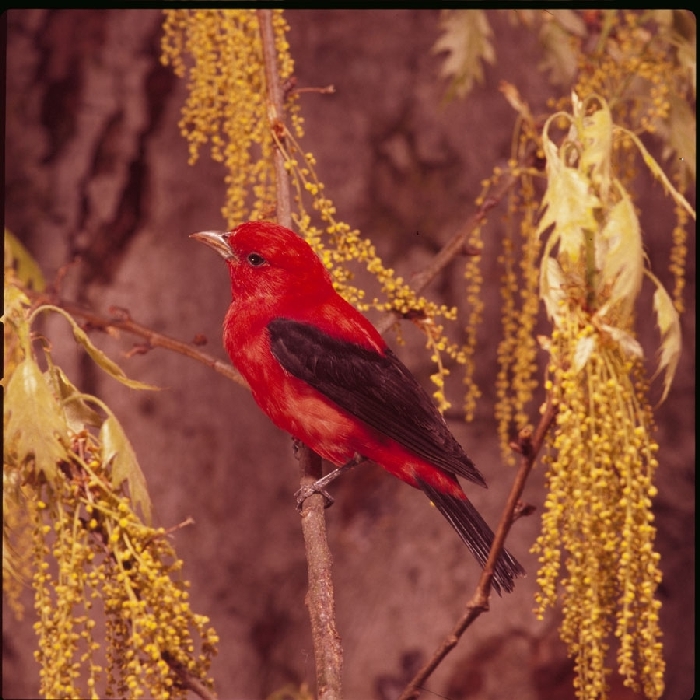 Scarlet Tanagers are a common and conspicuous breeding species at Cedar Creek, especially in the oak woods. Tanager numbers at Cedar Creek appear to have increased in the 1980's, a surprising development given the habitat destruction on their Latin American wintering grounds. At Cedar Creek tanagers generally nest in oaks near an opening in the tree canopy. They are frequently victimized by cowbirds. 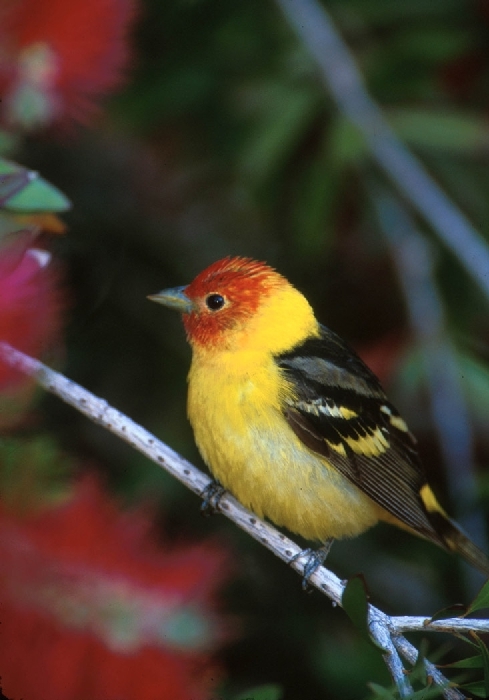 A male Western Tanager in breeding plumage was reported near Cedar Bog Lake on August 8, 1989.